Since the communities of Western North Carolina are nestled in the mountains, you’d think they get snowed in regularly during the winter. But that’s not the case! Thanks to a weather phenomenon known as the “thermal belt,” the temperatures in Western N.C. stay relatively mild all year long. We could go on about the fancy scientific reason for the thermal belt…or we could just tell you more about all the winter activities you can enjoy thanks to its effects! 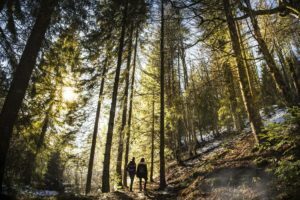 From hiking to rock climbing to hitting the slopes, the communities in Western North Carolina are perfect for enjoying a mild winter season. Explore all there is to do and see with the help of the Cielo Real Estate Team. Since nearly every town in the area is convenient to the mountains, there are tons of great trails to choose from. Whether you’re a seasoned hiker or just looking for a quick and easy loop, each option provides you with unparalleled views and vibrant natural beauty. Not sure which trail to try out? While it’s not quite done yet, the Little White Oak Trail in Mill Spring will offer 900 acres of conserved land to explore. For a moderate trail with waterfall views, try out the popular Little Bearwallow Connector. 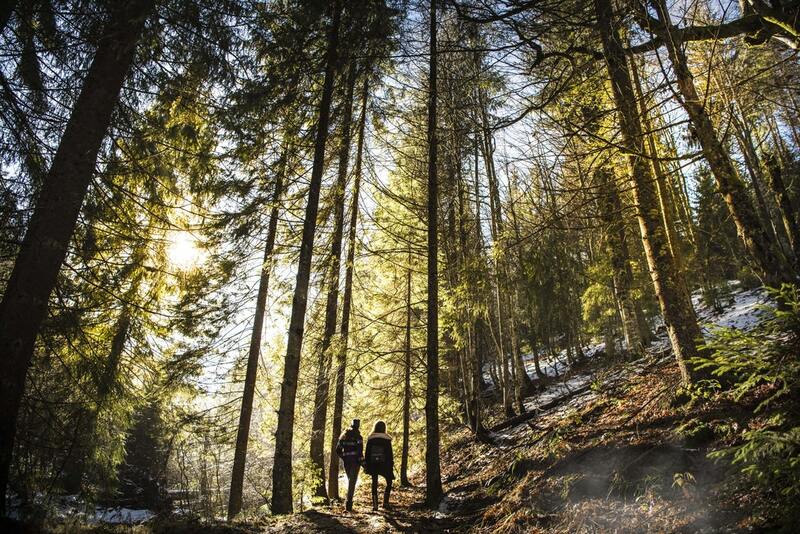 Browse a few other popular trails in the area, and take advantage of the mild weather — perfect for hiking! If you look at the mountains and have the urge to explore every inch of them, then you’ll be happy to know that there are tons of opportunities to go rock climbing during the winter months. With programs, guides, and open climbing areas, climbers of all ages can scale the cliffs of Western N.C.
One of the top places to go climbing in the area is at Chimney Rock. There are several different points for climbing access throughout the park, and you can employ the help of a teacher or guide for the day. 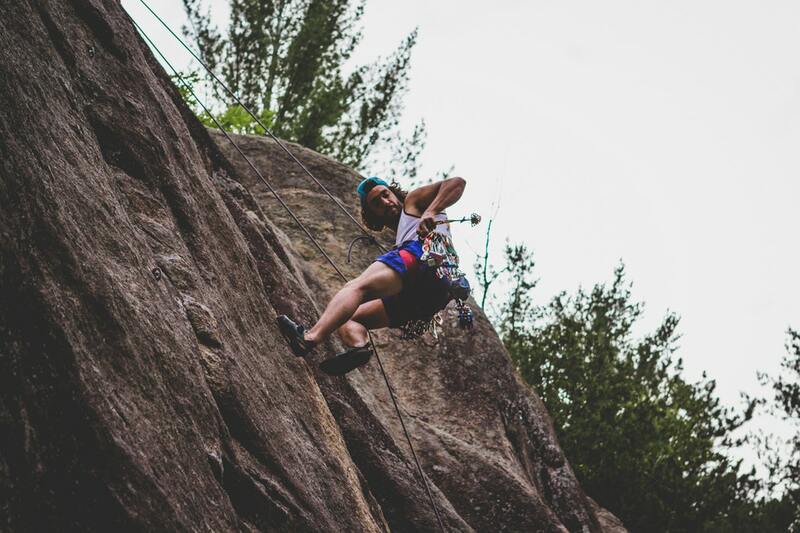 If you need to get a little practice in before you hit the real boulders in Chimney Rock State Park, there are a few indoor climbing gyms in Asheville where you can refine your skills. One of the beautiful things about life in Western N.C.? You take a quick trip to mountains to enjoy the snow, then come home a few hours laters and kick back in 50-degree weather! Snowboarding, skiing, sledding, and more — all it takes is a journey to the mountains. With the highest mountains in the East, conditions are perfect for all of your favorite winter activities! The closest ski resort to Asheville is the Wolf Ridge Ski Resort, where you can enjoy 15 different runs and special discount nights. 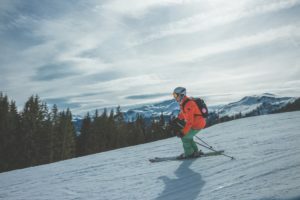 The Beech Mountain Resort and Cataloochee Ski Area are two of the larger options, with 17 and 18 slopes, respectively. Each of the resorts offers lessons, tubing, and more. Beech Mountain even boasts a mountaintop bar, brewery, and ice skating rink! Find Your Home in Western N.C.
With beautiful weather, stunning natural areas, and tons of outdoor recreation, life in Western North Carolina is truly one-of-a-kind. It’s no wonder so many people love to call the area home. Don’t miss out on your chance to live in heaven on earth — find your new home here today! If you have any questions, would like more information, or want to get started, feel free to call your local experts at Cielo Real Estate!